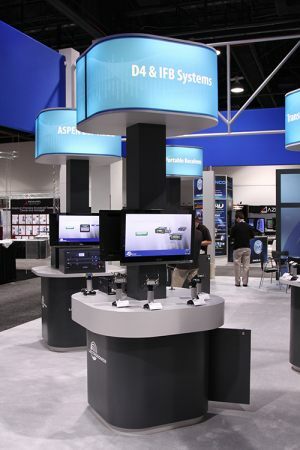 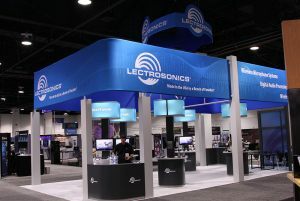 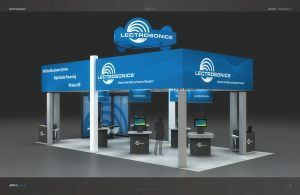 Lectrosonics needed graphics for a new booth design. 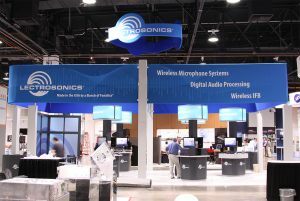 The graphics have a sound wave background in the blue to go with the wireless technologies they make. 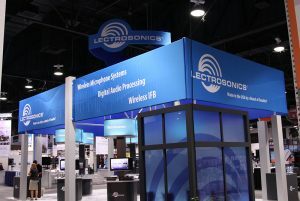 This booth was used for their big tradeshows including NAB (National Association of Broadcasters) and InfoComm.